SAN FRANCISCO — “Japan: Reflecting Nature’s Sacred Symbols and Spaces,” presented by photographer Koji Yoshioka and the Consulate General of Japan, is on view at the Japan Information Center, 50 Fremont St. (at Mission), Suite 2200, San Francisco. 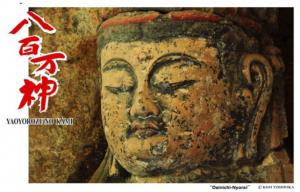 The exhibit of more than 20 photographs of Buddhist icons and Japanese landscapes can be viewed Monday through Friday from 9 a.m. to 12 p.m. and 1 to 5 p.m. until Jan. 10. Admission is free. It is Yoshioka’s hope that these images evoke a powerful, mystical and a spiritual feeling in the viewer. Since childhood, he showed an interest in the natural world, especially in astronomy, which led him to observing the heavens. Through his astronomical observations, he learned photography, but then began to shift his lenses to objects on the ground, such as landscapes and people. He attended photography school in Tokyo, devoted himself to his studies, and emerged as a professional photographer. In the years following, Yoshioka traveled all over Japan photographing esoteric mountain Buddhism and built his portfolio while practicing the discipline himself. In 1993, major publisher Shinchosha released the resulting album, entitled “Mandala of the Mountain World.” He was nominated for the Domon Ken Award. With the assistance of photography and its power of presentation, Yoshioka has totally committed to capturing human prayer and the spirit that dwells within every single tree and blade of grass. For more information on the consulate’s activities, visit http://www.sf.us.emb-japan.go.jp/.